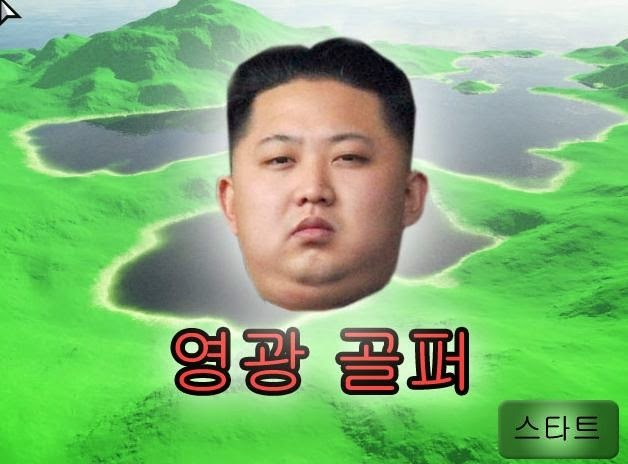 Play this flash golf game as supreme leader Kim Jong-un - you'll ace every hole! Play this flash golf game, Kim Jong Golf below, - you'll ace every hole! (Just click Kim's face to begin.) FreeGames writes, "Step into Kim Jong Uns golfing shoes and play a round of golf as our Glorious Leader. His father, Kim Jong Il is famous for getting a hole-in-one on every hole when he used to play. Do you have the skill required to keep up the family tradition? This is a realistic simulation of what it is like to play golf as a Glorious Leader."